I just bought my first set of new tires for my modern car in more than twenty years. I hated it! I just couldn't find enough good old tires to run anymore. All the corruption, dirty politics, and lies in business and government have me scared to death of trusting anyone. Most tires manufactured and sold today would NOT have been allowed on the road thirty years ago. They are under-built, using materials that deteriorate in UV and will become dangerous when only a few years old. Excuse me. 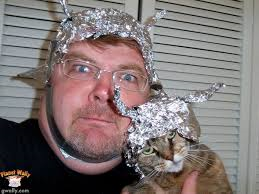 I have to go get my aluminum hat now. I think Power King tires are Chinese imports? Thank you Bill H! I laugh every time I see that picture posted here. Scott: Yes the Power king are Chinese, but I think all trailer tires come form there. They all look the same. From what I have seen the only one not made there is the Goodyear. I do not think that UV has a XXXXXX thing to do with it. My 5th wheel was only out in the sun when it was on the road. Blow Max would only last about 18oo miles and BANG, side wall would blow out. That is one Pissed looking cat. maxis is a decent trailer tire. you can put truck tires on they last . Dan, I think it depends on the luck of the draw. I replaced the tires on both my enclosed trailer and my boat trailer at the same time with the same brand 3 years ago. Iv put about 3000 miles on my enclosed trailer with no problems. My boat trailer tires have about 150 miles on them and I lost one last week on the way to the boat launch. I'm very careful about checking air pressure. When it blew it missed my brake line by a hair. It took me an hour in the Florida sun to cut and unwrap it from the spring. Both the enclosed and boat trailer are stored outside. I am considering replacing them with truck tires. My new trailer has 16� rims - I will be switching over to 12 or 14 ply ST trailer tires as these 10 ply wear out. In any state - on any highway - are millions of projectiles waiting to blow your tire off your rim. If you are running 15 inch trailer tires - your best bet is to get Goodyear Endurance ST 10 ply trailer tires from Discount Tire/America�s Tire Store with the free replacement road hazard certificates. The Michelins that came on our new 2012 Chrysler minivan also went with it when we traded it in on a new Pacifica a month ago. None had ever been off the rims, rebalanced, and only rotated front to back once. They had 94,500 miles on them and they would still have passed Massachusetts state inspection. Sadly, the new van doesn't have Michelins nor were they offered as an option. I think today's tires are the best ever, but as with just about anything, there is junk out there as well. Will, FWIW, which may be nothing at all, truck tires on a trailer are illegal in PA. Since I'm close to the border this is a concern for me. I wonder if this is the case in any other states? For What It's Worth. Truck tires are not illegal in Fla but the tire dealers strongly advise against it! For those who don't know it, trailer tires and car tires are constructed differently. 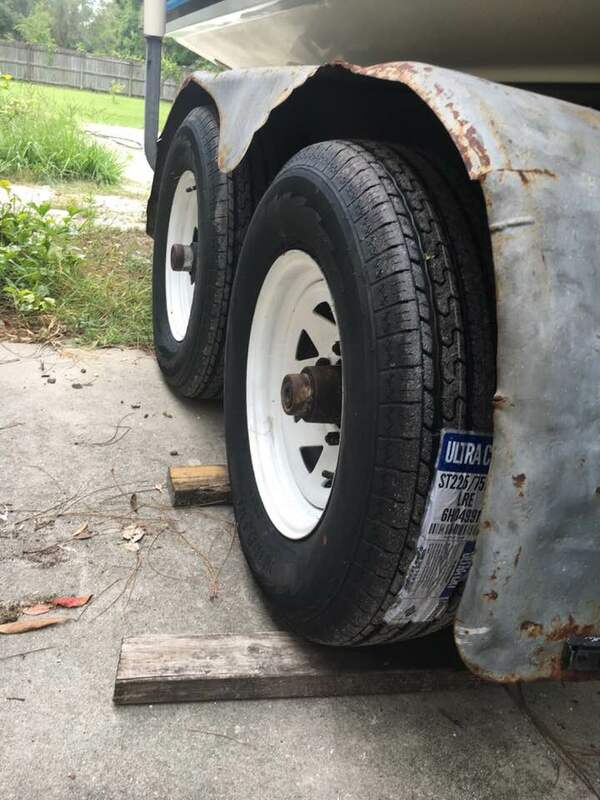 Trailer tires have (or should have) stronger sidewalls to control the increased flexing and heat due to the trailer weight. 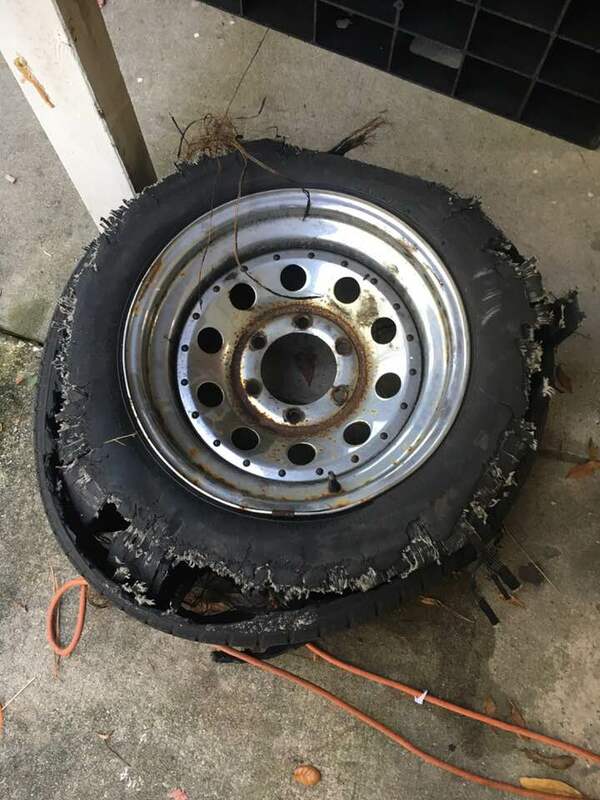 Just make sure your new tires specifically say "trailer use" on the sidewall. Even a highly rated car tire really isn't safe on a trailer. As for the quality of new tires, I agree. Most of them seem to be coming from Asian countries with lower standards and materials. I have a tendency to over cure a problem. Because Iv had one tire fail on my boat trailer I'm just going to replace all 4 for good insurance. Here's my brand new sneakers on my boat trailer just installed today. I know the fenders a little tired. My plan this winter is to float the boat at a marina completely redo the trailer. The salt water down is hard on them. Car tires and Trailer tires are like Apples and grapefruit, not the same. Will: I think if your tires say China on them, same plant as "Blow Max"
We have tyres branded 'trailer use only'. They are seconds, supposedly for use on vehicles which don't matter so much. Might specifically made trailer tyres be manufactured to lower standards than comparable products for car/truck use, rather than the higher standards expected? I run 195 x 14" light truck radial tyres on all my trailers. I stick with known brands like Bridgestone, Yokohama and Toyo. I have had one blowout in 45 years towing trailers. I am sure it helps if the trailer is used regularly. Flat spots, sun degradation etc. are minimised. I hesitate to use the old maxim, "Use it, or lose it" but it does seem to work for me. Dan, what is the date code on the tires that blew ? I had Toyo�s on a vehicle. Finally replaced all four- one at a time without success. Finally switched brands and the vibration went away. E rated tires. i run a tripleaxle trailer, 16,000# rating, used to blow out 1-2 tires every year until I switched from Ds to Es. buy em on line at etrailer.com. Great price, never a problem. Had one approaching bald this April on a trip, wanted to change but wheel nuts were stuck, made it home, took all six off and neverseized threads. new set now mounted, carry the five good ones for spares. doesn't pay to risk a multi thousand dollar car on $100 tires! On the way to Richmond we blew out two tires they were Denmens. I had two spares, because on another trip I blew out 2 Carlisle�s. The two spares got me to Richmond. When I got there, I bought two Good Year tires. I never had much luck with Goodyear tires but I did make it from Indiana to Cranberry PA to New York State without a blowout. Re the 'trailer use only' tyres I mentioned above, the TUO is branded into the sidewall post production I understand that such tyres are usually out of spec. in respect to balance. Being made for car use, they really are not suitable for trailer use in the first place. They do OK on field bins and augers we use on the farm. Now that our last manufacturing plant in Australia has closed, I doubt they will ever be imported, so the problem will go away. Do any of the new trailer manufacturers put on good trailer tires or even give you that option? I just dropped almost $12K on a new enclosed trailer last spring. To my dismay they came with Power Max C rated trailer tires. I asked the dealer why for that kind of money the manufacturers didn't put on decent tires or offer an option to do so at ordering time. He just told me that's what they come with, and in the next breath told me they were OK for 3-5K miles but that's about it. When I told him the minute I got the unit home it was headed down to my local dealer for a new set of D rated Goodyear Endurance trailer tires, he confided that's what he runs...not the Tow Max ones.